Last Wednesday Beyond Wrestling‘s new weekly series Uncharted Territory debuted here on IWTV.LIVE to rave reviews. Here is a brief rundown of what you can look forward to on episode two which airs tonight at 8pm EDT. Aussie Open made their Beyond Wrestling debuts on last week’s inaugural episode, coming up just a little short against The Beaver Boys. This week they return and are set to compete against the tag team of Sadkampf (Kevin Ku and Dominic Garrini) who are coming off of a huge win over Tank and Manny Fernandez at Black Label Pro’s Adventures In Wrestling. 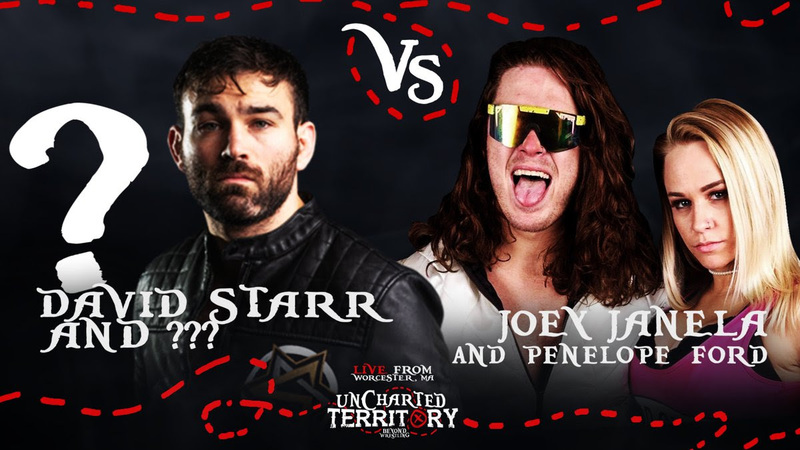 Joey Janela made his Beyond Wrestling return last week, intervening to prevent David Starr from picking up a cheap victory over Masato Tanaka. This week Janela will be in action in a Beyond ring for the first time since losing to Starr in a no ropes, barbed wire match at Americanarana ’18, as he teams up with Penelope Ford to take on Starr and a mystery partner. Two of the top technical wrestlers on the independent scene today face off as Solo Darling takes on Wheeler YUTA. “Retrosexual” Anthony Greene goes to toe-to-toe with former WWE star Gangrel. Mick Moretti was the first man to pick up a victory in The Discovery Gauntlet, defeating Gabriel Skye on Episode One. He looks to move forward again this week against another up-and-comer. The Platinum Hunnies make their in ring debuts in Beyond Wrestling. Plus join us immediately following Uncharted Territory as we replay some of our favorite matches from The Collective weekend!